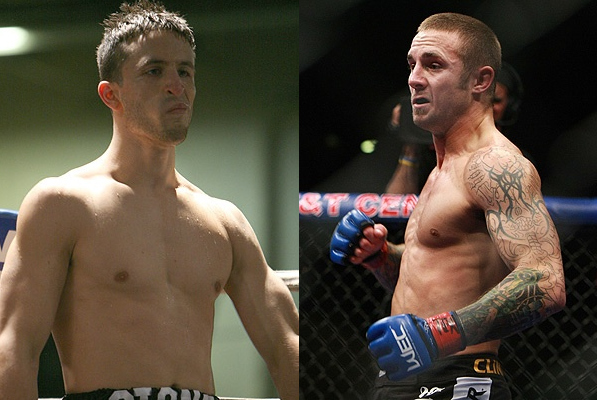 Eddie Wineland is expected to meet the newcomer, Ken Stone, at WEC 53 on December 16. The bout has been agreed upon already, and contracts are soon to be finalized. Eddie Wineland, the first WEC Bantamweight champion, was supposed to meet Damacio Page at WEC 52. Unfortunately, he was forced to withdraw from the fight due to shoulder injury. Wineland is carrying a three-fight winning streak, including a Knockout of the Night victory over Will Campuzano at WEC 49. Also anchoring his professional record are two sweeps of judges scorecards against Manny Tapia and George Roop. Opposing him is the promotional newcomer, Ken Stone. Stone secured all of his nine career wins by stoppage. His recent win came against Jason Bennett at an American Fighting Organization event in Massachusetts. Stone’s only setback was given by Jason McLean, via split decision, at an AFO Show last 2009. WEC 53 will be the final event for World Extreme Cagefighting, before the UFC-WEC merger in 2011. The tourney will take action in Jobing,com Arena in Glendale, Arizona.